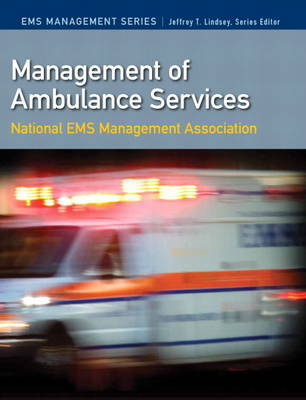 Management of Ambulance Operations offers nineteen chapters of "best practices" covering the management of an ambulance service, with each chapter written by a recognized expert in that area of ambulance service operation. Teaching and Learning Experience * Offers insights and "best practices" from subject matter experts in ambulance services * Provides a useful reference and resource for ambulance service managers and executives ***** This title is available only through the Pearson Custom Library (PCL). To order, click here www.pearsoncustomlibrary.com. PCL allows customers to create customized textbooks, giving students a more engaging and affordable education. Customers also have the option of purchasing the full text without customization in the Pearson Custom Library. For more information about customization opportunities, refer to http://www.pearsoncustomlibrary.com. Because this program is print-on-demand, printing will not start until we receive a purchase order from your bookstore. Please place your book order with the bookstore as soon as possible to ensure timely delivery. Please allow 2-4 weeks for your book to print. Additional time is required for outside content and/or packaging with other components.